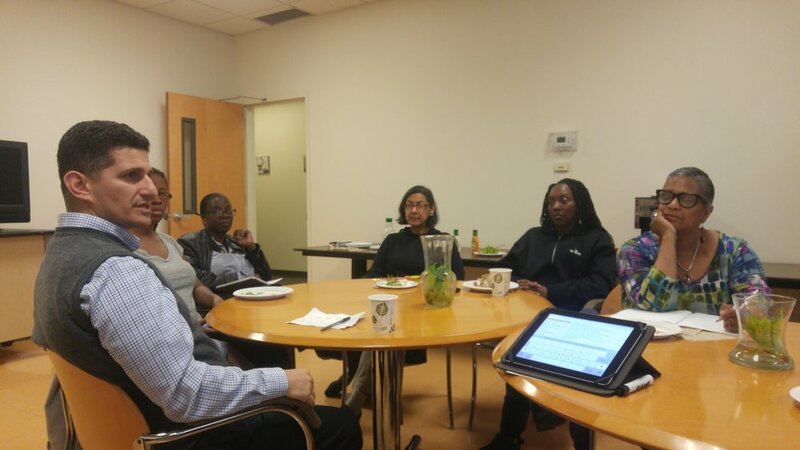 On Wednesday, April 26, Creative Conversations in Jamaica, Queens, was joined by Sante Antonelli, Director of Business Services at the Queens Economic Development Center and founding director of the Made in Queens (MiQ) initiative. Antonelli shared his experiences creating a storefront business for Queens-based artisans using a coop business model. Many of the participating artists have been QCA Artist Peer Circle participants and have recently founded the Southeast Queens Artist Alliance (SEQAA). SEQAA's mission is to organize Jamaica-based artists in an effort to create a new studio work space for artists in the community.